Dr. Rubin describes his own battle with prostate cancer, and how as a scientist how he took control of his own treatment. He also describes the impact of personalized medicine on his medical decisions and how he deals with living with cancer. Read the article. 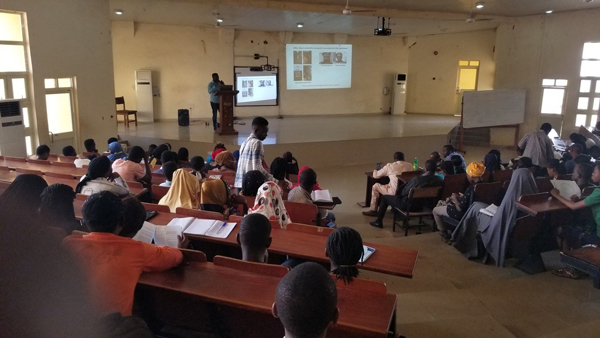 Jerry Madukwe, Ph.D., who received his Ph.D. in Biochemistry (2018), and is currently a postdoctoral fellow at Yale University, recently completed a 2-week science-outreach trip to West Africa. 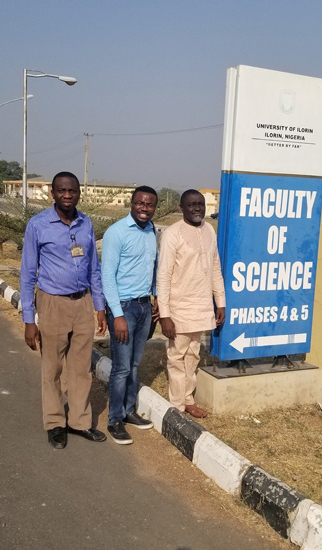 Jerry was invited by the West Africa Center for Cell Biology of Infectious Pathogens at the University of Ghana, and the Department of Life sciences at the University of Ilorin in central Nigeria to talk about the work he did as a PhD student and about graduate school in the United States. Jerry, who hails from Nigeria, and got his BS from Lee University in Tennessee, also used the opportunity to visit his former elementary school where he talked to fifth grade pupils about science (see photos), and to demonstrate DNA extraction from bananas. The kids were very excited by his visit, and Jerry found the experience very fulfilling.